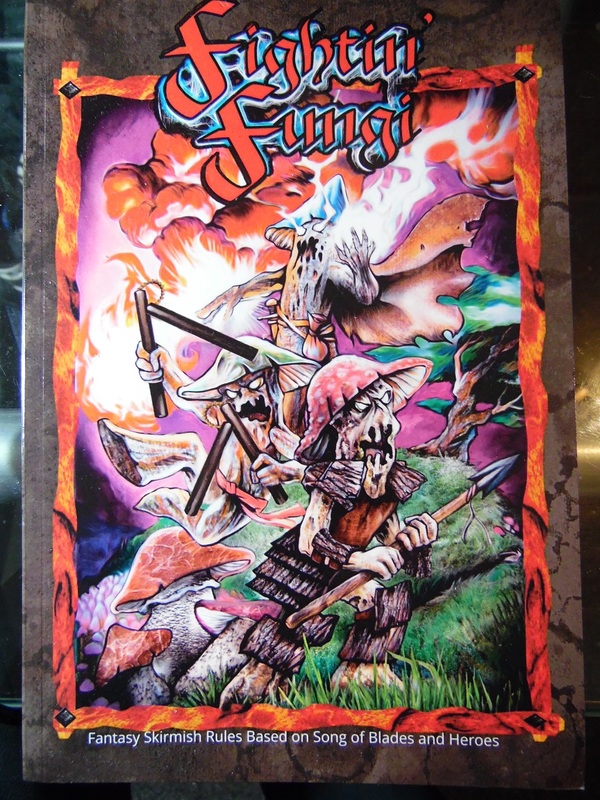 When I accidentally ran into the Fightin' Fungi Kickstarter earlier this year it felt like the best coincidence of the last couple of years. 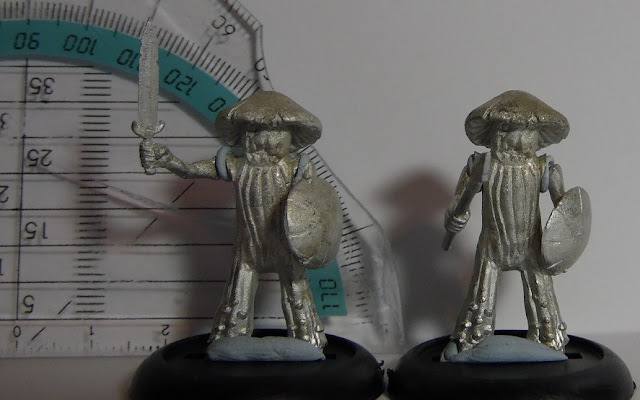 I'm a big fan of mushrooms, both on the tabletop and on my dinner plate, so the idea of a full skirmish-level set of minis centered around mushroommen was a dream come true. Though it were the initial master sculpts sculpts by Micah Nichols (link) that drew me in, a quick look over the project information revealed more and more positives. 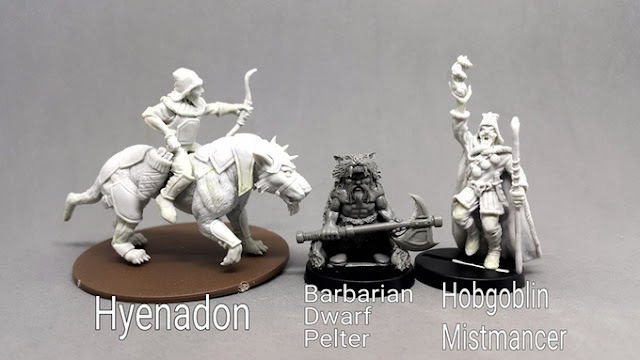 Visually interesting and personally appealing miniatures are one thing, that range being support with a full ruleset by one of my favorite companies is even better. 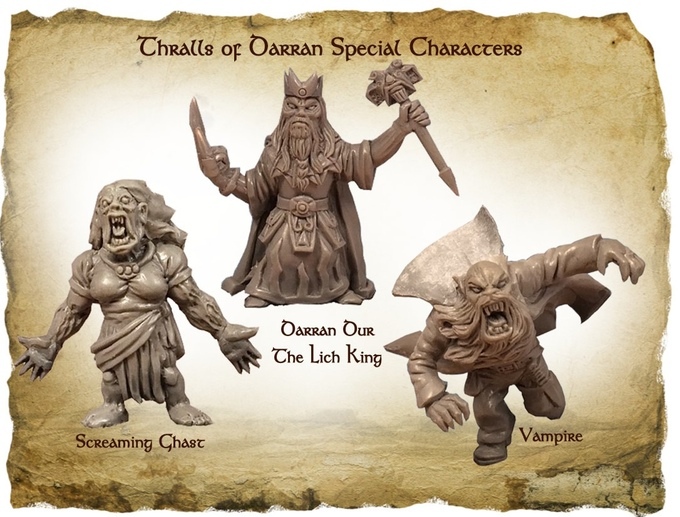 It turned out Ganesha Games (link), the guys behind the various variants of the Song of Blades and Heroes fantasy-skirmish ruleset (SoBH), were leading the project. Suffice to say I was sold on the idea after about 10 minutes of reading and, luckily, it turned out I wasn't the only shroom nutter out there. Nearly 300 people jumped unto the project, leading to 25K+ funding and about 35 unique sculpts being created. 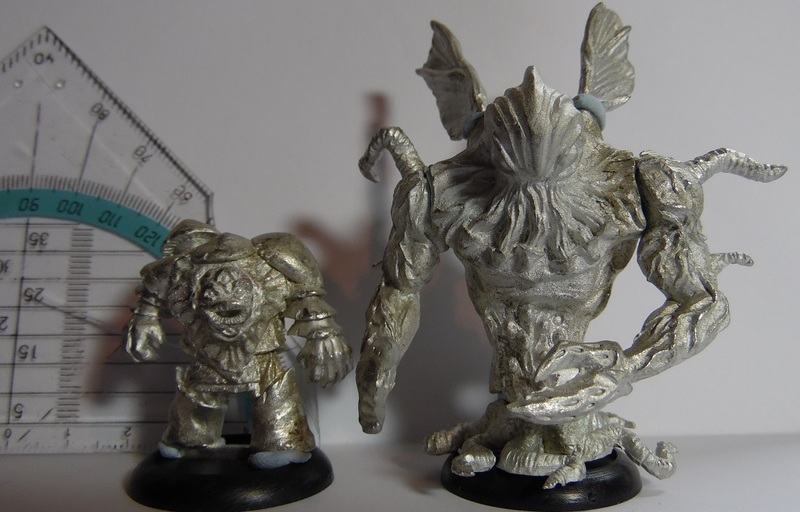 Interestingly enough this also included a few backer-created models that really added a ton of character to the line, the spore launcher for example may just be one of my new favorite models ever! 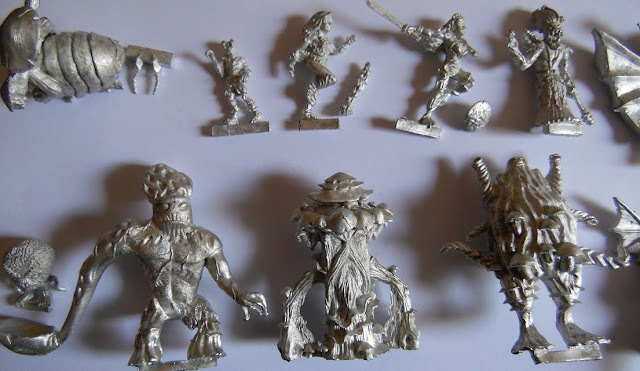 Last week a package with all my goodies arrived and I just had to take those models, some bluetac and share their awesome uniqueness. These are straight out of the box, so zero cleaning or moldline removal. Bit of a busy week, so no time for that. Though in all honesty, there really isn't a ton of clean up work here at all at all. Little bit of flash, the odd mold line and a tab or two that need to be sliced to bit their bases. 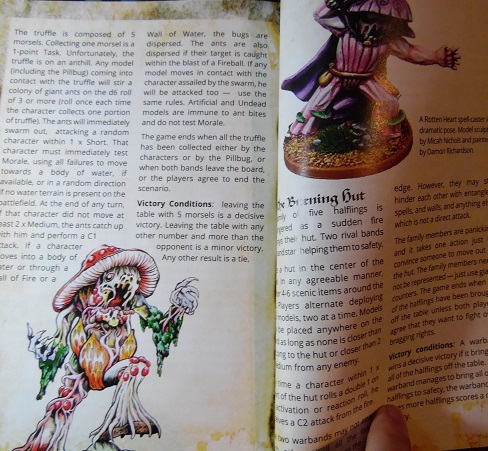 The rulebook is also quite a colorful gem with tons of content. In fact, this version of the Song of Blades and Heroes pushes the base system to a new level, streamlining a few elements while adding a ton of options in other places. There's even a follow-up project underway to take this version of the rules and use it for other setting, see further below for more information. - The Rotten Hearts, powerful, but fragile spellcasters draw to the rotten and necromantic arts. - The monk like martial artists of the Path of the Underwood. - The warlike, adventurous and even mercenary Oakenspears. - And the Autumn Folk, protectors of the land. 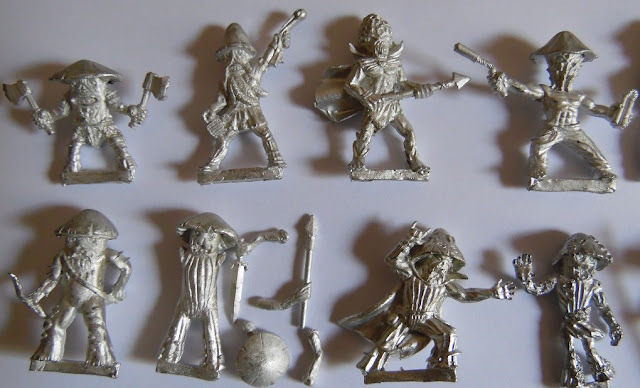 In addition there are also rules for various types of Halflings, Wood Elves, Hobgoblins, Humans, Goblins, Orcs & Trolls for which I am certain a lot of us have tons of suitable models for. 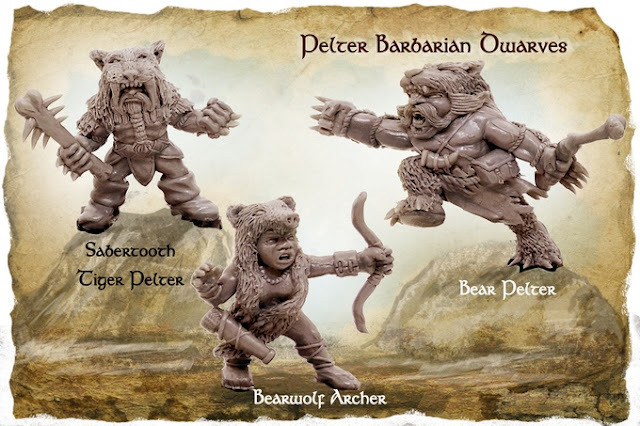 On to a closer look at the models, which are rather varied and quite interesting to say the least. 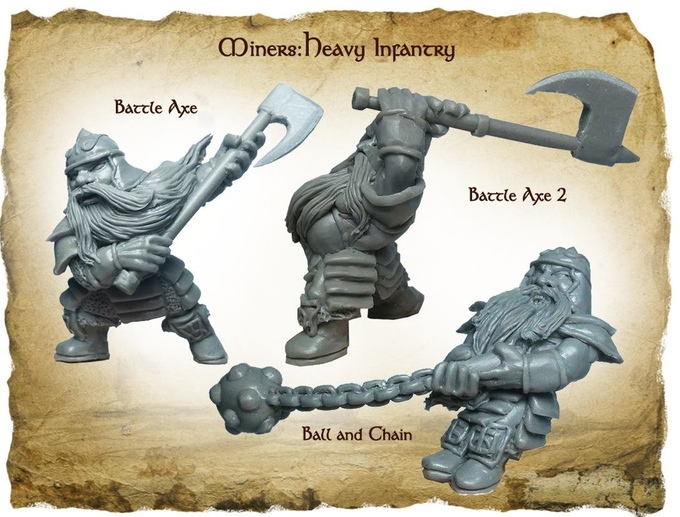 These should be available from the Ganesha Games webstore (link) any day now. Starting of with a selection of character models; the Master of Mushrooms, Mykityad Forest Nymph, the Fungus Queen and The Reaper. 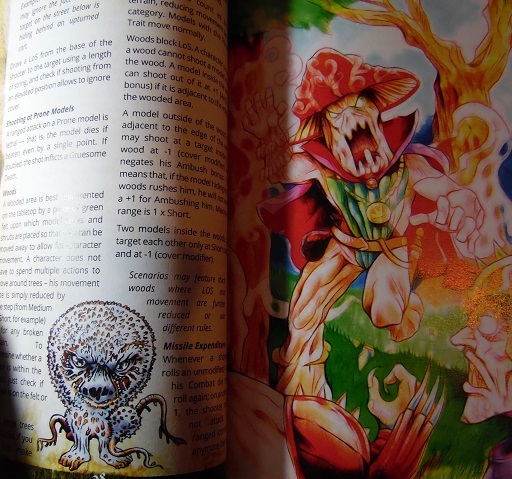 Followed by the rather regal looking Fungus King, the Rotting Heart Enoki Cleric and one of my personal favorites from the range, the Spellcaster. 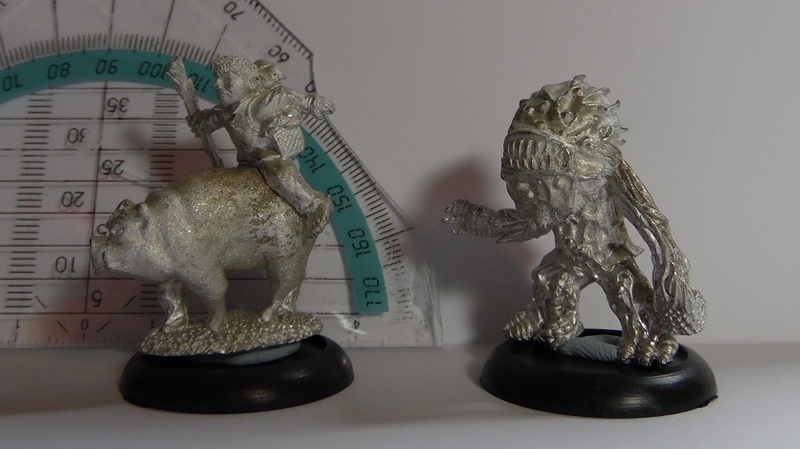 The Kickstarter also had a special figure, the mushroom collecting Halfling Andrea Underfoot and his loyal pig Davey Snoutbottom. And he's going to need that extra speed to get away from the Swamp Lion Fungus. Next up with we have the more evil and spore-oriented monsters with the Goblin Fungus Zombie, Sporeling, Spore Monster, Greater Sporeling and Zombie Fungus. Fungus spread after all! 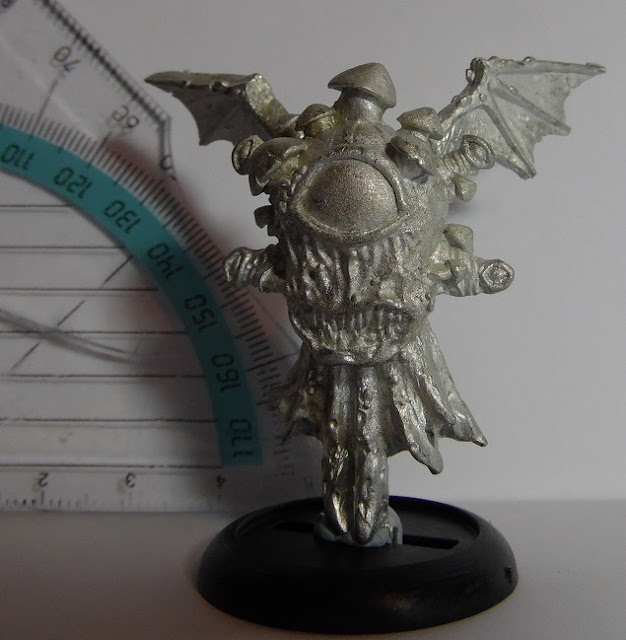 There's also a rather old school-themed Vampire Fungus, who's going to be a blast to paint up. There's also a set of regular fighters, including some martial artists that go for a more oriental look. In order to add a bit of variety, as well as a core model that can be used by multiple factions, Ganesha also produced a multi-part warrior that's going to be very easy to convert or adapt to various other projects. 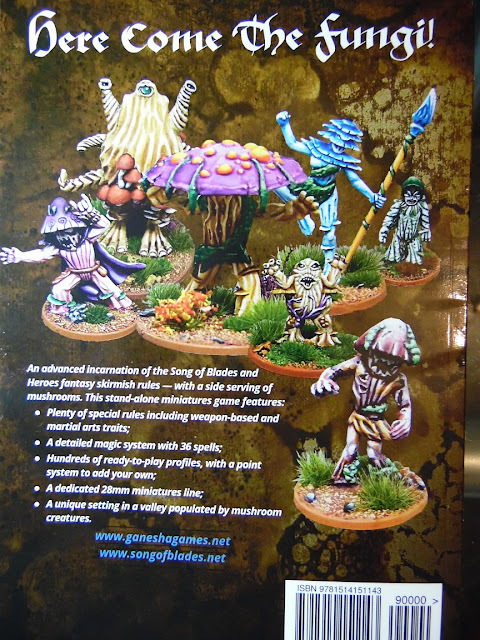 In fact with some clever green stuff work on the shroom tops and mouths you could easily build up an entire regiment of these Fungi for use in a game like Kings of War. Some more close combat-oriented Fungi, including the rather imposing Matanagar. Naturally there are also various ranged models to add to your warband. Things get a bit more D&D as well with the Flying Eye Fungus, which is quite an imposing sight on the table. I can definitely see one or two of these models making it into other SoBH games as environmental hazards. Should be a very cool model to paint up as well! 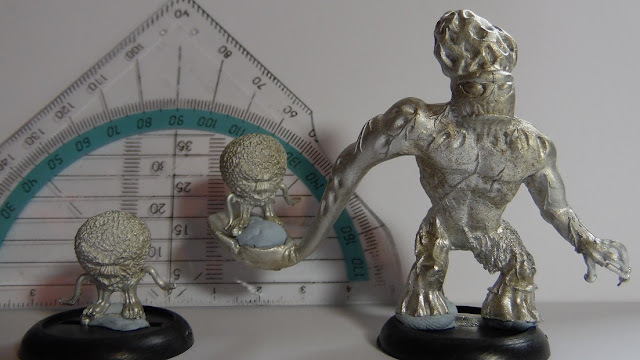 The Spore Monster provides some heavy infantry support, but is just a small fellow compared to the monstrous Swamp Fungus. This fellow turned out a lot bigger than I'd expected. 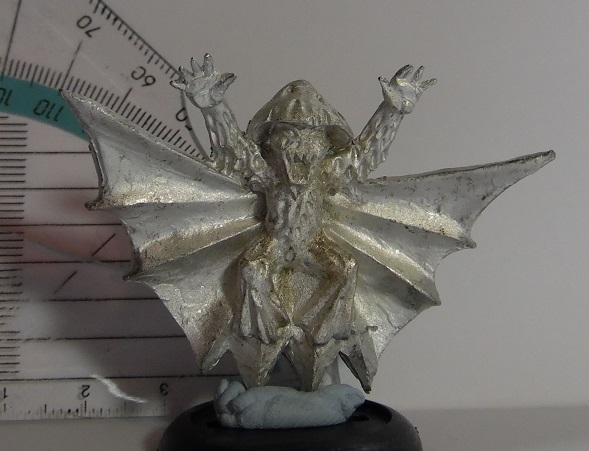 This model went from 'cool Cthulhu-esque tribute' during the campaign to 'warband centerpiece' when I pulled him from the package. 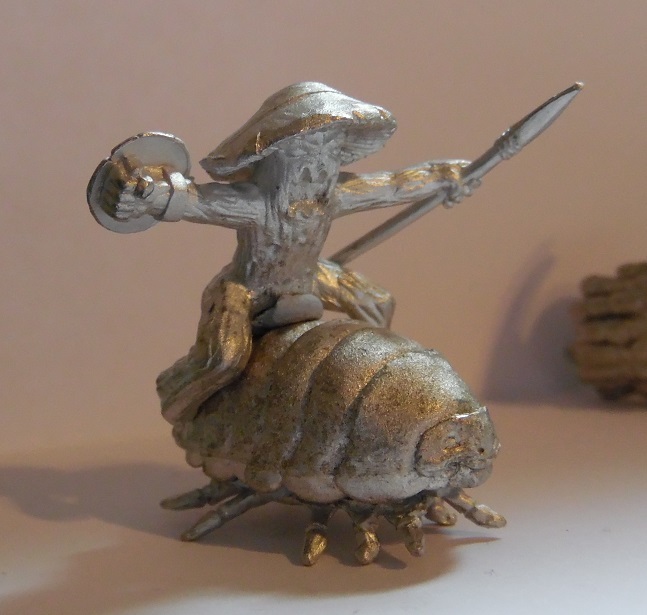 Finally there's also the option for some cavalry model in your warband and Ganesha did an amazing job sticking to theme here.. We get the adorable Pillbug Rider, the Giant Worms and the Grasshopper Cavalry (misplaced the legs while unpacking, but there's quite a bit of posability in this model). The Pillbug, in particular, is another favorite for me. Cute and menacing at the same time and bound to be a blast to paint up. Rather happy I picked up a few of these, should mix well with the multi-part warrior as well! Given just how well all this material turned out I am more than happy to see Ganesha Games is going back to Kickstarter to expand the world and rules for this game. 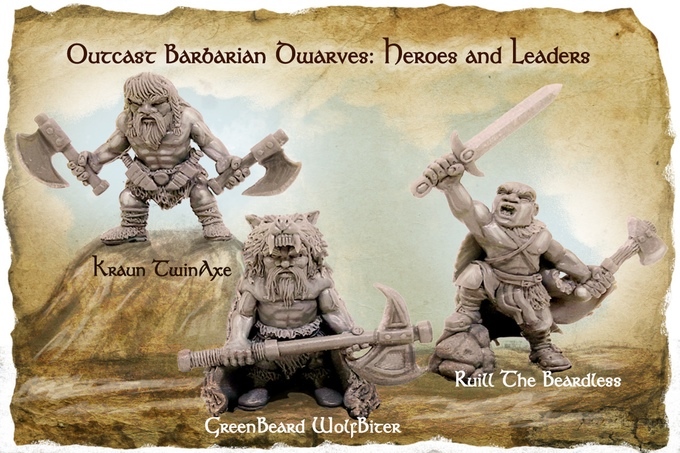 In fact, they're currently running a project that looks towards the eastern Dwarven kingdoms with dozens of unique sculpts, as well of Hobgoblins, a separate version of the new SoBH rules and more (link). And that does it for this look at-article, definitely one of my personal favorites thus far. Keep an eye out for several other articles coming in the near future, including all those new Norsgard goodies I was talking about earlier in the week, a mushroom-themed model to accompany these new Fightin' Fungi, more Mantic goodies and the latest batch of Anvil's Afterlife models. 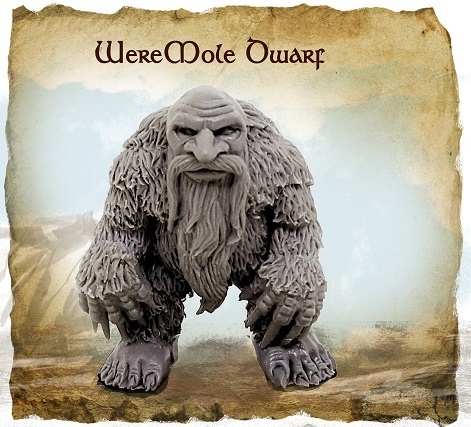 Of all the craziness presented here, the Were-mole dwarf is probably the maddest concept I ever heard :). Mostly just really happy to see Ganesha's minis do so well, both when it comes to actual quality and community reception. The rules are rock and rock solid as well, so much even that the core system is extremely versatile and adaptive to the point where it can even salvage old, failed game and provide a solid foundation for house rules to the point where people are making their own games up based on the core mechanics.